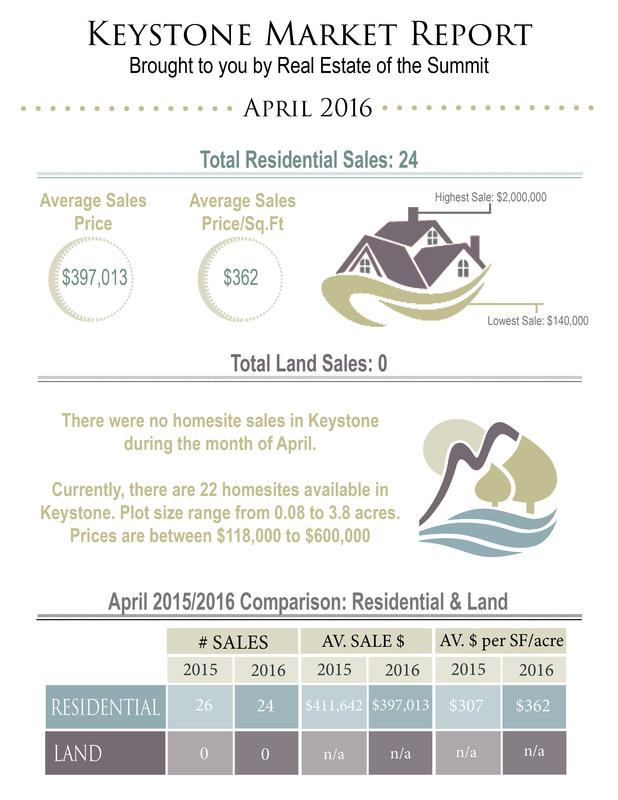 Real Estate of the Summit is pleased to present you with the Keystone Market Report! Our data and analysis is updated monthly to provide you with the most current Keystone real estate news! The diagram below visualizes the previous months statistics for the Keystone area. The professional team of brokers at Real Estate of the Summit research overall market trends and changes daily to keep you informed of the ever changing mountain real estate market! Keystone is located on the outskirts of Summit County and resides next to the mountain provided world class skiing and snowboarding. Investment opportunities in Keystone vary from ski-in, ski-out condominiums and homes to spacious homesites in highly esteemed neighborhoods. Keystone is a true mountain town with top of the line resort amenities. This small town has exceptional properties available for all buyers at a wide array of prices ranges. The next time you consider purchasing or divesting in Summit County properties, make an informed decision by staying on top of the trends with our Keystone Market Report! Take a look at the Keystone Market Analysis page, which contains market information from previous months. To compare past reports, take some time to look at the archive by following the link at the bottom of the page! Click here for your in-depth Keystone Market Analysis!